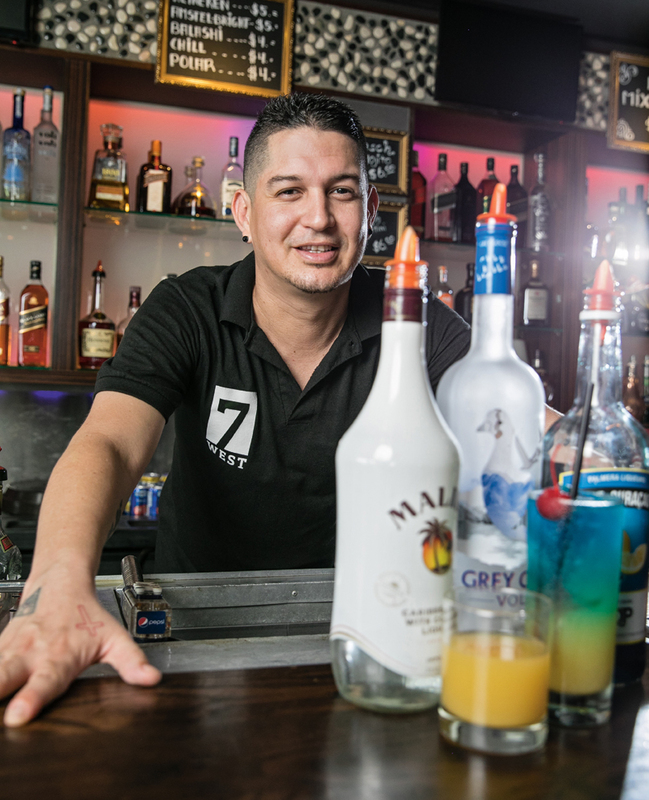 Aruban Bartender Jonathan Erasmus has been at 7 West for six years. With a second-floor view overlooking the Main Street of downtown Oranjestad, it’s not a bad gig, especially when the breeze comes through the open-air bar and restaurant. 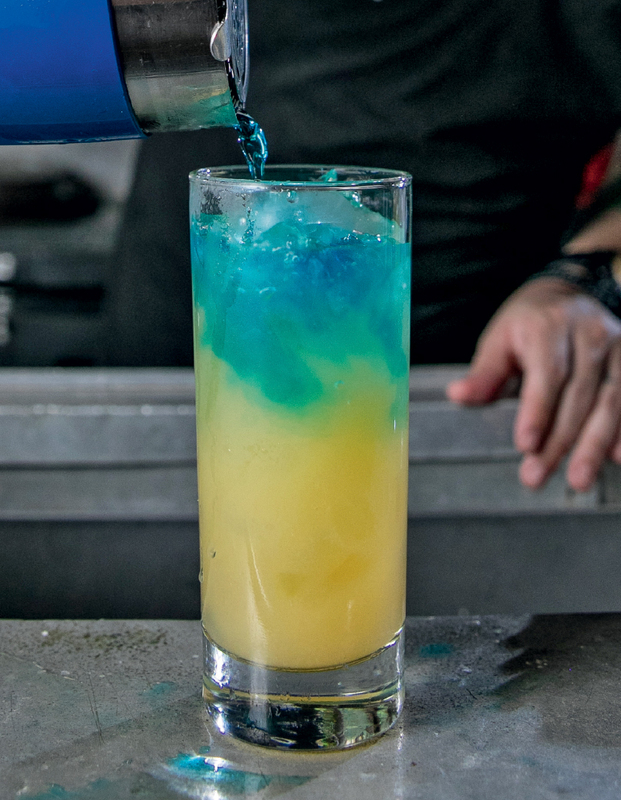 As the blue top half of the drink sinks slowly into the yellow bottom, transforming the middle into a kaleidoscopic, upside-down Aruban sunset, you’ll be relaxed – Aruba style – in no time. Add ice to a tall glass and fill halfway with pineapple juice. Shake the rum and blue Curaçao in a cocktail shaker with ice. Strain it slowly over the pineapple juice to create layers. Blue Curaçao is actually an orange liqueur made with the dried laraha peel – think old-school Valencia oranges brought by the Spanish to Curaçao, Aruba’s neighboring ABC island (ABC = Aruba, Bonaire and Curaçao) – but the blue color is said to have originated from infusing the liqueur with the flower of the butterfly pea, a Southeast Asian plant whose flowers contain a natural blue dye. The liqueur was originally dyed to make colorful cocktails, like this one. Butterfly peas were just the easiest way to do it before commercial food coloring. In addition to the eye-popping blue version, white, red, green and orange Curaçao liqueurs have been made since at least the 1920s, but the most widely available is still blue. Nowadays, some artisanal distillers are reverting to natural dyes. Feel free to use any brand or another orange liqueur such as triple sec or Grand Marnier for this recipe – but the drink will be the most striking with blue.